Circumstances beyond our control may sometimes make us feel as though we’re not the ones navigating our own lives. But that couldn’t be farther from the truth! YOU are the driver of your own health. Small, incremental changes can truly make a big difference in your health. Whether you switch to using skim milk instead of whole milk, or choose to take the stairs instead of the elevator, there are simple changes you can make to your lifestyle that will help add years to your life. Jamin Brahmbhatt aka Dr B. What drives you to live a healthy lifestyle? My 3 daughters. They inspired me to lose 30 pounds and I’ve kept most of it off since that time. I want to live as long as I can to be able to maximize our time and memories together! Can you ever recall a time you’ve felt uncomfortable with your body? Can you pinpoint why you might have felt that way? To be 100% honest, I would say I battle with this problem on a daily basis. I think a lot of the insecurities come from the unrealistic expectations we may set for ourselves by what we see on TV or social media. I know most of it is filters and Photoshop, but to get the mind to truly believe it is not always easy. What drives you to live a healthy lifestyle? My wife & my kids – I want to be there for them as long as I can. Can you ever recall a time you’ve felt uncomfortable with your body? Can you pinpoint why you might have felt that way? The last several years had been tough for me. As I aged, I started to gain more weight and felt weak. It created a lot stress and frustration. I just felt tired all the time. I then started to diet and work-out. My body started to change. I feel stronger now than I ever did. By no means am I perfect and I continue to strive to get better – but what I do have now is hope. This new-found hope of a better lifestyle and overall fitness is so inspiring – it makes me feel better about myself – inside and out. And when you are happy, this positive energy simply amplifies everything you focus on. Let’s promote happiness in everything we do. 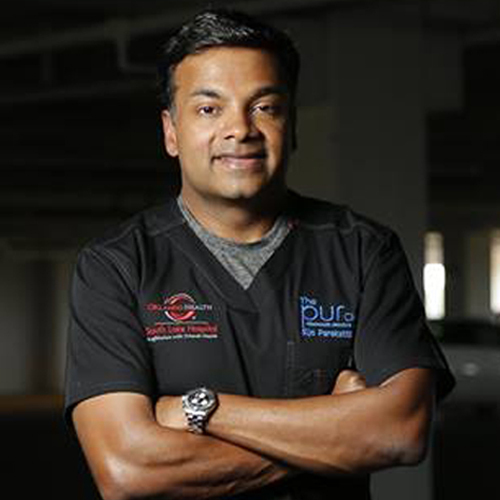 Dr. Sijo Parekattil is Co-Director of the PUR Clinic at South Lake Hospital, Clermont, FL. He was an Electrical Engineer (University of Michigan) prior to his medical training and thus has interests in surgical techniques incorporating technology, robotics and microsurgery. He completed his urology residency training at Albany medical Center and then went on to complete dual fellowship training from the Cleveland Clinic Foundation, Cleveland in Laparoscopy/Robotic Surgery and Microsurgery/Male Infertility. 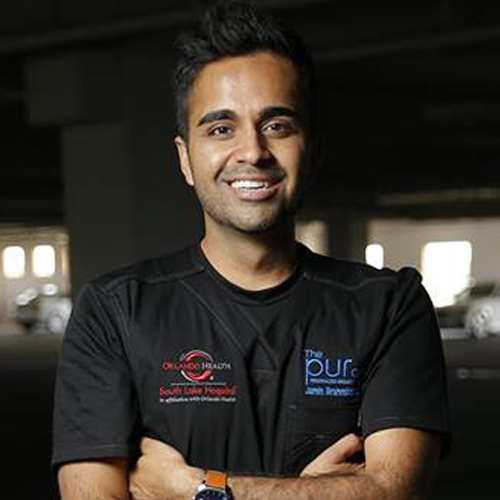 Dr. Parekattil has received numerous awards including two Annual Innovator Awards from the Cleveland Clinic Foundation and the Golden Garland Award in Medicine. He has published several articles in the field of robotic microsurgery and has three textbooks on Male Infertility and a surgical textbook on Robotic Microsurgery. He has performed some pioneering work in the arena of robotic microsurgery and has now performed over 1,000 such procedures. He is also a Visiting Professor at the University of Zambia, Lusaka, Africa.